Is Ola shutting down hyperlocal grocery delivery service? Close on the heels of e-commerce giant Flipkart shutting down its hyperlocal grocery delivery app Nearby, cab-hailing firm Ola seems to be following suit. 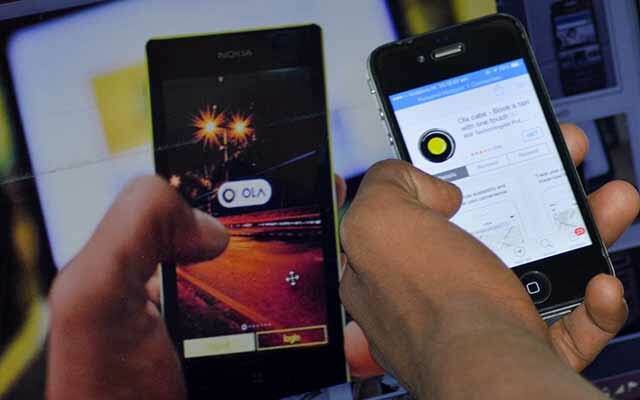 Ola may pull the plug on its hyperlocal grocery delivery app, Ola Store, in less than a month, NDTV's Gadget 360 reported citing a person familiar with the development. The report attributed lack of synergy as the likely cause for the potential shutdown. A spokesman for Ola didn't confirm the potential shutdown of Ola Store. However, it was also not clear whether the company has decided to shut down Ola Store within a month as reported. "We are still operational and running," the spokesman said. Ola Store was launched in July 2015 but never really took off. It delivers products in Bangalore, Hyderabad and Gurgaon from 13 categories that include fruits and vegetables, dairy, grocery, beverages, packaged food, medicines, and personal care, according to information available on the Google Play Store. The app claims to have tie-ups with about 250 grocery stores and has seen at least one lakh downloads, according to the latest statistics provided on its Play Store page. The hyperlocal grocery delivery business, particularly the asset- and inventory-light model, is tricky because of low margins and customer fill rate. "Since there is no visibility on the inventory, achieving a good customer order fill rate becomes difficult," said Hari Menon, CEO of online grocery store BigBasket, which keeps its own inventory and has invested in own warehouses. "When the inventory is not in your control, the quality of delivery takes a hit. When there are more players who can dilute your margins, profitability takes a hit." Even well-funded startups in the pure-play hyperlocal delivery segment are scaling down operations. Last month, PepperTap, run by Nuvo Logistics Pvt Ltd, shut down its operations in six cities including Mumbai, Kolkata and Chennai. In January, Grofers India Pvt Ltd shut down its operations in nine cities including Bhubaneswar, Ludhiana, Bhopal and Kochi. However, e-commerce giant Amazon India recently unveiled its hyperlocal grocery delivery service with operations starting first in Bangalore.